The focus for this type of technology has traditionally been on entertainment, retail and education, but a new category has quietly been picking up steam. 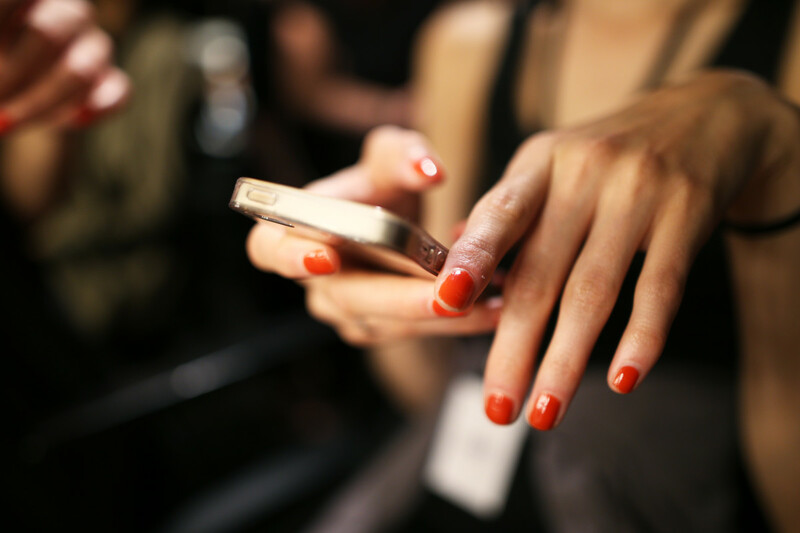 Considering the fact that the average American spends roughly five hours a day on their smartphone, it&apos;s no wonder that the beauty industry is abuzz with apps. As L&apos;Oréal&apos;s recent acquisition of Modiface shows, companies are recognizing the possibilities they present and investing in technology that will help them better engage with consumers. But while the focus for beauty apps has traditionally been on entertainment, retail and education, a new category has quietly been picking up steam: device functionality. Or, in non-techy terminology, apps that work with and/or control a beauty device. Foreo&apos;s soon-to-launch UFO (Ur Future Obsession) masking gadget is a prime example, although the app component has not been given quite the same attention as the actual device. When it debuted at the Consumer Electronics Show, the brand hyped the mask&apos;s versatility (it features four different professional device applications: LED light therapy, sonic pulses, cryotherapy and thermotherapy), its timesaving convenience (the equivalent of a 20-minute masking session in 90 seconds), and its mission to replace masking as we know it. Buried at the bottom of the release was a blurb explaining its operation via app. Now, we&apos;ve seen our fair share of innovative gizmos over the years, but what sets something like the UFO apart is not just what the device can do, but rather how it does it. 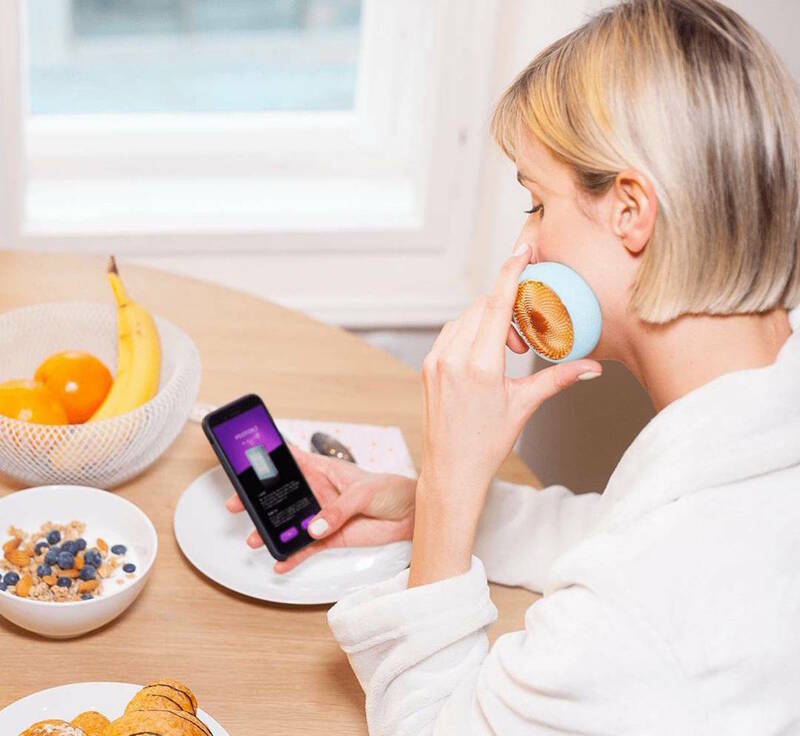 Instead of pushing button after button to control all of its options, Foreo&apos;s app lets you designate one of the two pre-loaded treatments or customize your own by selecting the exact intensity and timing of each element. It also serves another key purpose with some serious consumer benefits: functional updates. "The app component was necessary for the UFO, in order to allow for the delivery of new smart activated mask protocols that will be arriving in the future," explains Foreo CEO Paul Peros. Meaning the brand will be adding to its roster of treatments for the UFO that will allow the existing device to perform a wider variety of treatments. 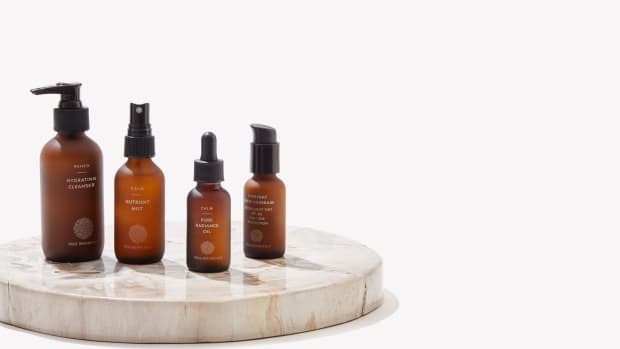 Celebrity aesthetician Melanie Simon saw the value in this approach back in 2015 when she launched her Ziip electrical current device, which uses an app to wirelessly download different "cocktails" to address specific issues, from acne to wrinkles. "The app is there so people can&apos;t be locked into the one treatment that comes on Ziip," she explains. Simon has six programs currently available for the machine and says she aims to launch a new program every nine months. Considering she claims to have 110 different treatment combinations on her personal unit, there&apos;s no risk of running out of uploads any time soon. Her co-founding partner, David Mason, notes that these downloads also help them on the development side. "We definitely have understandings of what treatments people do, when they do them and how they do them. Once you amass all that data and look at it with some of the machine learnings, we have a great opportunity to give very personalized information to our users," he says. "Our hope is that they are going to get a lot more benefit from Ziip by getting recommendations about treatments and it does start having that personal feeling based on what&apos;s been used and what&apos;s been done in the past." Peros and Simon both acknowledge that these types of devices and apps might have a whiff of gimmick about them. But to them, the proof is in the consumer experience. "We are very disciplined not to engage consumers in features that are not meaningful in terms of providing a relevant benefit," notes Peros. "We aim to design products that excite and bring innovation that serves the consumer — not the other way around." Adds Simon, "At first people just thought &apos;Oh, they have an app, who cares?&apos; and then they saw that actually it&apos;s an app that lets consumers have a completely different tool every time they change to a different program." And when you&apos;re talking about a doohickey that costs $500, that variety is what Simon says helps consumers justify the price and keeps them from developing device fatigue. But skin care isn&apos;t the only category that&apos;s seeing an increase in this new type of functional apps. Oral care, somewhat randomly, has embraced this type of technology with open arms (mouth? ); see the Philips Sonicare FlexCare Platinum Connected toothbrush and Colgate Connect E1 Smart Toothbrush. Both work like a fitness tracker in that they allow you to see your brushing time, pressure, problem areas and technique, as well as set personalized goals for concerns like gum health or whiter teeth. Then there&apos;s La Roche-Posay&apos;s forthcoming UV Sense nail art sticker, which measures sun exposure in real time and alerts you via the companion app when you&apos;re at risk for elevated UV exposure, in addition to tracking your sun exposure over time and sharing safe sun habits and advice. It&apos;s clear that apps are the new frontier in beauty, be they creating a customized LED treatment, showing you how a lipstick would look on, teaching you how to braid your hair or just making it easier to re-stock your makeup kit. "Beauty is fertile ground [for apps] primarily for reasons of the high personalization and engagement levels, more than any other category," notes Peros. "From skin care to makeup, the possibilities of various products, routines and approaches are limitless. At the same time, beauty is very personal as it relates to our self-perception, and also how we relate to the world around us." And with the rise of augmented reality, video capabilities and artificial intelligence, the sector is ripe for expansion. Take Amazon and its AI assistant, Alexa: The company has integrated Alexa into a host of electronics, from cars to your fridges, in addition to their own Echo home devices. Recently, the company has released items with visual components — Echo Show, the invite-only Echo Look and the new Echo Spot. Look was released with a fashion focus, but it&apos;s an easy jump to see how it could be used for beauty. While an Amazon spokesperson (unsurprisingly) wouldn&apos;t comment on if there are specific plans to expand into beauty outside of the current tips and broadcasts (like Hearst&apos;s new My Beauty Chat), they didn&apos;t rule out the possibility. "The Alexa service is always getting smarter, both for features and for natural language understanding and accuracy. Because Alexa&apos;s brains are in the AWS cloud, she continually learns and adds more functionality, every hour, every day," says the spokesperson. And, since anyone can create and upload "skills" (Amazon&apos;s version of apps) for Alexa, it&apos;s only a matter of time before some savvy company integrates their product and brands on to the visual platform. Speaking of platforms, Mason notes that it&apos;s key to remember that users aren&apos;t always relying on apps for their information. While Simon provides in-depth videos and tips through it, she also recognizes that people consume content in different ways and in different places. "They&apos;re on our website, they&apos;re on YouTube, they&apos;re on Instagram, they&apos;re on our app — you see a lot of people just watching videos; many who don&apos;t even have Ziip watch all the how-to videos over and over." 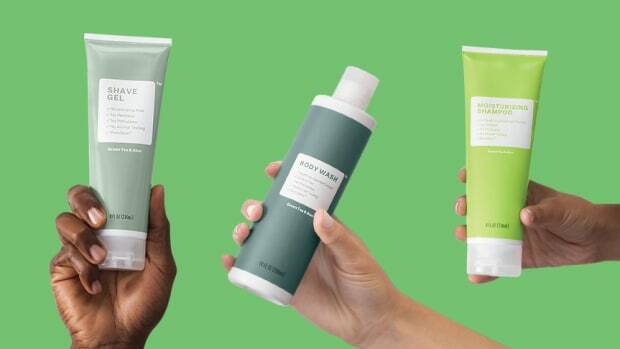 This cross-platform engagement, says Mason, is what&apos;s driven the brand&apos;s strategy around content. "The app is a great opportunity to reach a captive audience that is already engaged, but when you see an app as a singular channel [for content] I think that only works in very limited circumstances," he says. "Instead, it&apos;s a way to get the same great content we are already getting out as opposed to having it be this is the only place to get that information." Perhaps one of the most game-changing possibilities that all apps present is interactive retail. While e-commerce is still a force to be reckoned with, a recent report by the National Retail Foundation found that Millennial and Gen Z consumers are actually visiting physical stores more often now than they were a year ago. A large portion of that can be attributed to retailers&apos; increased focus on creating experiential shopping environments. And, ironically, one way for brick-and-mortar to create those enhanced experiences is by embracing technology that was originally developed for online platforms. "Apps really can invigorate the sales floor, but [retailers] can&apos;t put blinders on," says Simon. Her advice? "They need to have screens at all the stations with all the apps uploaded and ready to go and they need to have people in there that are specifically [trained] on them. I think if they do that, they could get the best of both worlds — but they have to commit to it." And many are slowly wading into the tech-enabled shopping pool: Retailers like MAC and Sephora, who debuted Virtual Artist try-on mirrors at its Herald Square location, have begun to invest in the concept. With the plethora of services, products and opportunities that apps provide, it&apos;s going to be harder than ever to pry our phones out of our hands. And honestly, we&apos;re not quite sure if that&apos;s even a bad thing. Sorry Mom, but it doesn&apos;t look like we&apos;ll "stop staring at that damn screen" anytime soon. "There is a huge revolution in the works — consumers are getting very smart." Is Brand-Free Beauty The Wave of The Future? "We're trying to redefine what it means to be a brand by using it to transact authenticity — not make up a false narrative about a product you haven't even tried yet."